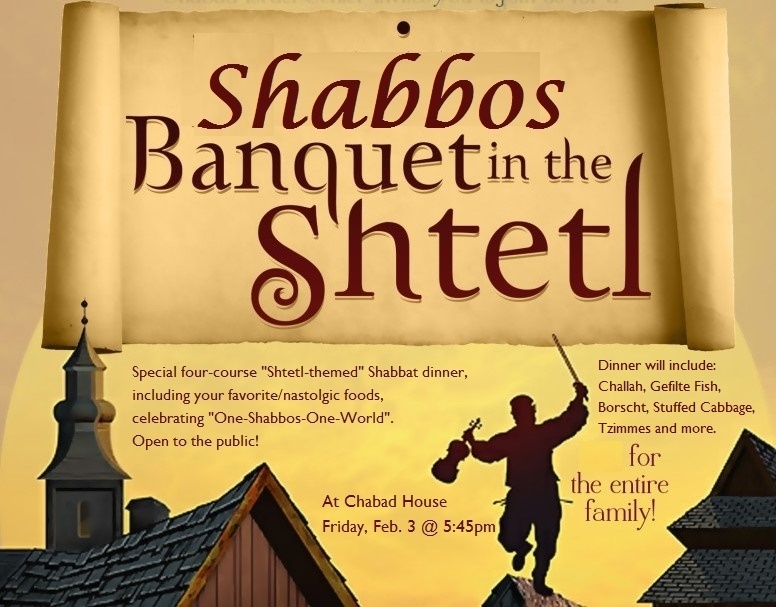 Join us as we celebrate Shabbat with a delicious four-course dinner, in a warm Shabbat, Shtetl atmosphere. From the Kiddush and Matzah balls, delicious Borscht & Stuffed Cabbage, to the meaningful discussion & inspiring songs, this is a Shabbat experience you won’t want to miss. admission is only $15 for adults, and $10 for children. Hebrew School families, as well college students are free of charge. You can also use this form to reserve your spot for the "Babka/Rugelach Workshop" on Saturday night Feb. 4. 4. Wanna join the Babka/Rugelach workshop on Saturday night, Feb 4.? The discounted rate for the workshop is $15 per adult (and $10 per teen) only till February 1.